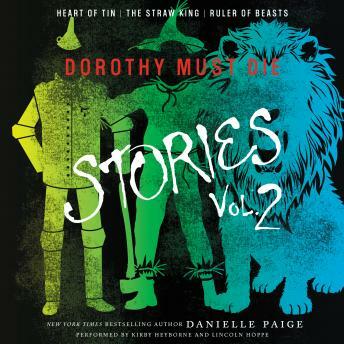 Follow Dorothy’s iconic companions from the beloved classic The Wonderful Wizard of Oz as each of their gifts becomes key to the downfall of Oz. After Dorothy Gale wished her way home and long before Amy Gumm found herself in Oz, Dorothy’s friends left the Road of Yellow Brick to go their separate ways. But in a place like Oz, where magic and temptation lurk, the gifts from the Wizard begin to take on a life of their own. The Tin Woodman becomes twisted with longing. The Scarecrow develops a taste for plotting. And doubt consumes the Cowardly Lion. Kiss the land where troubles melt like lemon drops good-bye. Here there’s danger around every corner, and magical shoes won’t be able to save you. Love this! This book is wondering and I like the way the narration actually changed voices. Lol. Had me thinking I was right there with everyone. I can't wait to start reading Dorothy must die!!!! !